3/19/19. Thousand words to book. Planning day. Week. Life. How it’s all to go. Self-publishing this book and changing certain dimensions before “the assessment”. The day I turn 40. Want the book done. No more not-selling writing. No more self-doubt. This cold, making a second pass, but I’m defying it and denying it any entry or connection to my character. Staying elevated and positive in all pulses. Almost done with my latte. How the fu– Time just moving so I move with it, and like I stipulated in the thousand words– Guy enters nook carrying a ladder and I ask if I’m in his way he says no I’m fine, I ask if he wants me to move he says he’s going to paint the wall black within the next hour or so. I tell him I’m going to be out of here just before nine and he extends his fist for a bump, I answer with bump, “Have fun!” He says and leaves. Have fun. I think about that. Of course. Why not. I am. Have fun at work, in work, with my work. What I do. My character and its definition and decision, decisions. Have fun. Enjoy the story. This morning continues to educate me on me and my work, me here at Sonic. This, this building, me and my role, I’m seeing is part of the There. Yesterday meeting in the Zen Den, or Zen Cove as I call it still from time to time, talking about what’s ahead and how everything now moves in positive pulse, tells me I need focus on it more. My book, on Thought, the definition of thought and what thought does, can do, where it comes from, wildly provoked by this building, this company. And the other building, when I’m in there. I didn’t see this, when I applied, when I first started, or even in my first month. The first month, I was still celebrating being out of a tasting room. Work… work… work….. I write about work and making work your own. Making it your own story, your life, what you are and who you are, not just job title and location. 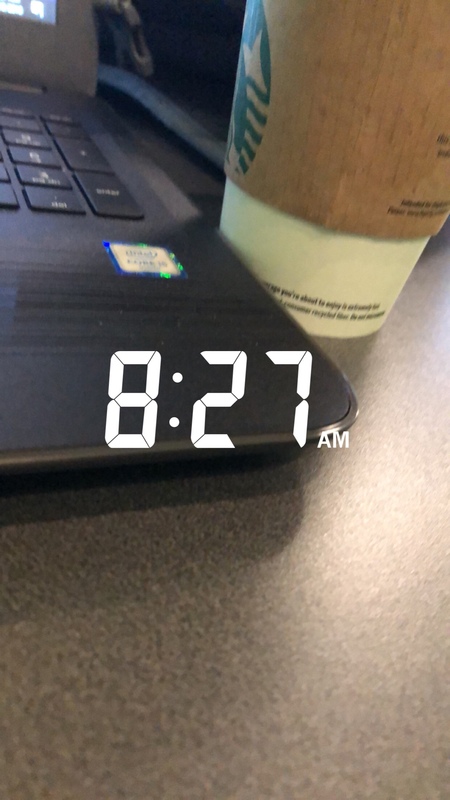 8:41. Made self lunch this morning so I HAVE TO eat and write in car. Not all ideas and thoughts, visions about and from where, past where I am. My office, this office, always working with this company and help tell its story. Revolution, movement, music, poetry, SOUND. I can barely stand and translate everything that’s being said to me by the morning. Sonic very much reminds me of a Coltrane track, in its precise yet frenzied and random patterns, the profuse passion for the Now, the track itself, being there, present and speaking, reciting, reveling in colorful immediacy. 8:44. I’m reminded here and when in Field that each moment serves standalone story. All of them. No exception. From business consideration, this is enigmatic and pragmatically spastic. That’s why I identity with the language, with the scene and stage and ways from day to day.